Of course it will be allowed to finish. The problem is Mueller and the Democrats want it to go on forever. Washington Times reports Attorney General nominee William P. Barr will promise senators Tuesday that if he is confirmed, he will allow special counsel Robert Mueller to finish his probe, now in its 20th month, into Russian election meddling. 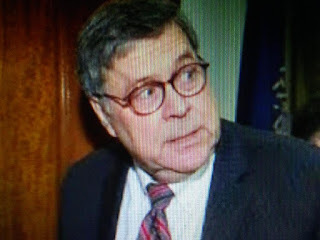 In remarks released Monday that Mr. Barr is expected to deliver to the Senate Judiciary Committee, the prospective attorney general will also say Mr. Mueller is handling the probe properly, sounding a dissonant note with President Trump, who has repeatedly called the investigation a politically motivated witch hunt.